Whilst it has been great fun flying all over the world from my own desk, recently I have been feeling a little unproductive. As mentioned in a previous post during remembrance day this November, I had decided to put some effort into building something. 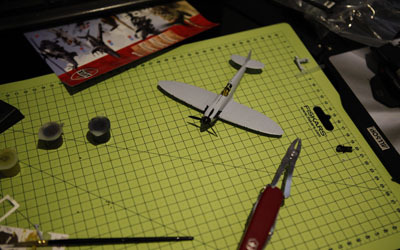 Granted I don’t have as much time in the week as I would like, so I settled to make a quick and easy Airfix kit of a Spitfire Mk1a and also it’s rival Messerschmitt Bf109E-4. I was looking in a few hobby stores and even DIY shops for some cheap tools which would help me build the kit to a better standard, although in the end I got too impatient and decided to crack on with pretty much just my Swiss Army Knife and the brushes that came with the kit. 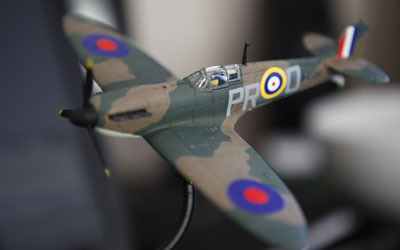 The Spitfire model is actually a replica from WW2 which saw combat in the Battle Of Britain. 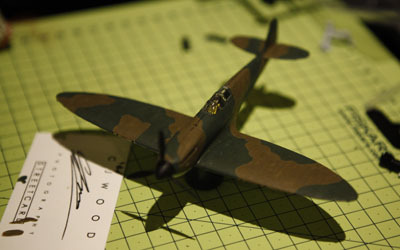 The aircraft was piloted by Ace, John Charles Dundas. Dundas was renowned for his air combat skills and was credited with an impressive 12 enemy aircraft destroyed, 2 shared destroyed, 4 probably destroyed and five damaged. On the 28th November, 1940 Dundas managed to shoot down the highest scoring German Ace, Helmut Wick. Unfortunately moments after this dual his own aircraft was shot down and lost to the Channel. The plane and the pilot were never recovered. 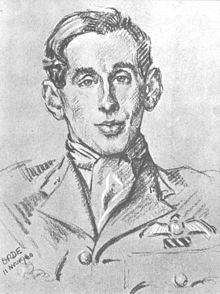 John Dundas as sketched by a fellow pilot. John Dundas can be seen at the back of the group smoking. This photo was taken on a farm very close to Duxford Airfield, Cambridgeshire, where I grew up and visited regularly. As a child I would have family holidays to The Isle Of Wight. We would stay in a part of the island known as Freshwater Bay which was very close to where John Dundas’ aircraft was shot down. There is a small memorial to John Dundas in Freshwater Bay which I would love to go back to visit now I know of the story behind it. 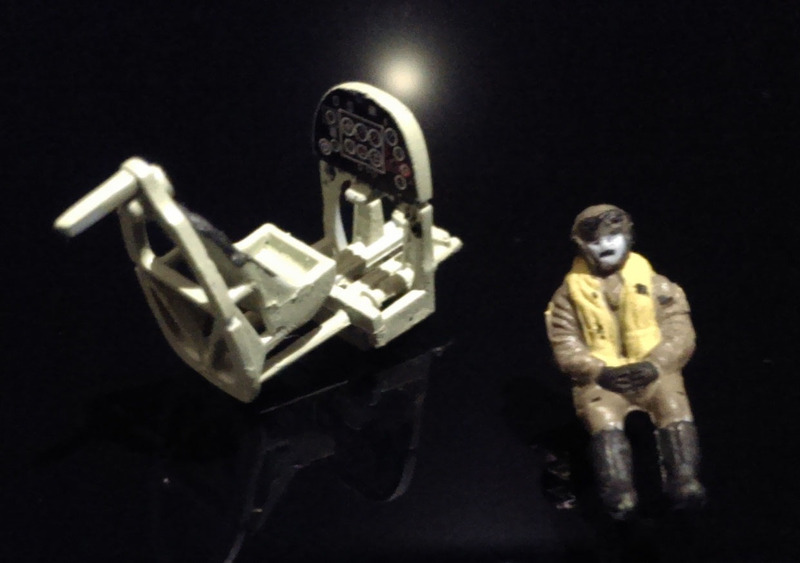 I started with a lot of detail on the pilot before placing him into the cockpit and cementing him inside. The rest of the kit came together pretty quickly. All together it only took 4 evenings. The Imperial War Museum London has another one of John Dundas’ aircraft hanging in its center hall. Although I actually managed to visit the museum this november, the current restorations prevented me from seeing the aircraft. Strange to think that I wouldn’t have known anything about Dundas and the amazing pilot he was. Fix ford? Duxford more like! 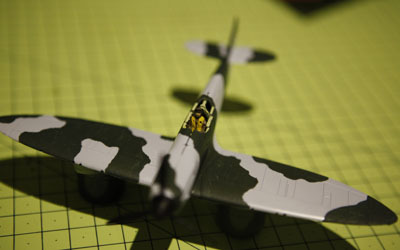 I have finally gotten around to building the BF109 as well. I suppose I will have to add a blog post to show off that model as well!